With the thousands of real estate sites on the Internet, the first thing you need to do is look for a site that gives you accurate information on the Ocala and Marion County area. An Ocala site like localrealtyservice.com will provide you with information through a user-friendly search tool. You want a site specifically oriented to the Ocala market. Real estate concerns more than just buying and selling too. You want a site like localrealtyservice.com that will provide you with links to information about the community. For example, ideally a one-stop-shopping web page where you can click and find real estate information about all the Marion County cities such as Ocala, Belleview or Marion Oaks. The website should address both new and experienced buyers and sellers. The site should have some helpful tips. Many real estate agents only care about commissions. The goal is to get your signature on the mortgage papers. A good real estate agent will do more than just sell you a home. You can tell the level of commitment to their clients of a real estate agent or company by the partnerships they developed with local businesses. 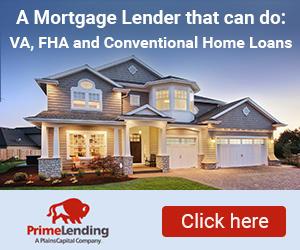 You will need more than just a mortgage company. Connections with local cable companies, cleaning services, home inspections, and other types of services will make the buying and selling process a lot easier. Few national real estate companies provide this. Finding a local Ocala Realtors like Fred Franks will provide that premium level of service to their clients. Most important of all, you need a local agent with experience with the Ocala market and a commitment to you. Loyalty, accountability, and confidentiality are all buzz words that attach to the type of local Ocala agent you want. You want someone that lives in the area and knows the market. Find someone like Fred Franks from Local Realty Service, who has the training and twenty-two years of experience to assist you with all your real estate needs.